Additionally, we shouldn't discount the placebo effect. If sugar pills result in less (perceived) pain for someone, it's kinda rude to grab them from their hands shouting "No. Science says this shouldn't work!" If a placebo works for someone, it works for them. That said, recommending an expensive or risky placebo when cheaper placebos haven't yet been tried, or being disingenuous about the fact that what you're recommending is a placebo is indeed irresponsible. I find it amusing that you seem to be saying, correct me if I'm wrong, that placebos that relieve perceived pain are good because when that happens they "work" for the patient. I find it amusing because practitioners of alt med continuously say that those who practice evidence-based medicine only "treat the symptoms" of disease, while they, alts, treat the causes of disease. I don't understand how a placebo treats the cause of anything, and I personally want to know what the cause of my diseases and pains are if and when it is humanely possible to know that. The placebo effect (which is really nothing--no effect of the treatment itself, just a "perception") is usually short-lived as well, which is why the woosters keep on trying one scam after another. Some of them start to see a pattern and realize they've been had, but others just get in deeper and deeper it seems. As to the why, in this case it is clear that one of the main causes of knee pain is obesity (and aging, of course, which little can be done about), but who wants to hear, "lose weight"? Most have tried a number of useless "diets" and lost little or gained it all back, so they keep searching for some other "magic" since the weight hasn't come off with the previous "magic diet". These same people will, as you say, make the outrageous claim that "allopathic" doctors only treat the symptoms, ignoring that there is not much else they can do since people refuse to follow the initial advice. I've had great results for a number of age related aches and pains, but my therapist says I'm unusual in that I actually DO the exercises and don't miss appointments. I lost weight as well--by eating less. It is discouraging to see MD's (especially from prestigious universities) using media outlets with wide circulation to spread such misinformation. It makes it harder for people like me to get anywhere with people in my social circle who bring these subjects up. It's tough to have a comeback to, "this Harvard MD recommends acupuncture", so what makes you so smart? It's also unfortunate that these same media outlets don't have the science chops to ask some harder-hitting questions of the good doctor. 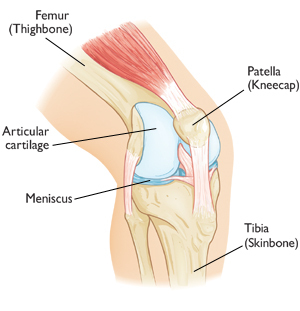 Knee pain has become one of the major health issue in present condition. Thanks for sharing some tips to reduce the pain.